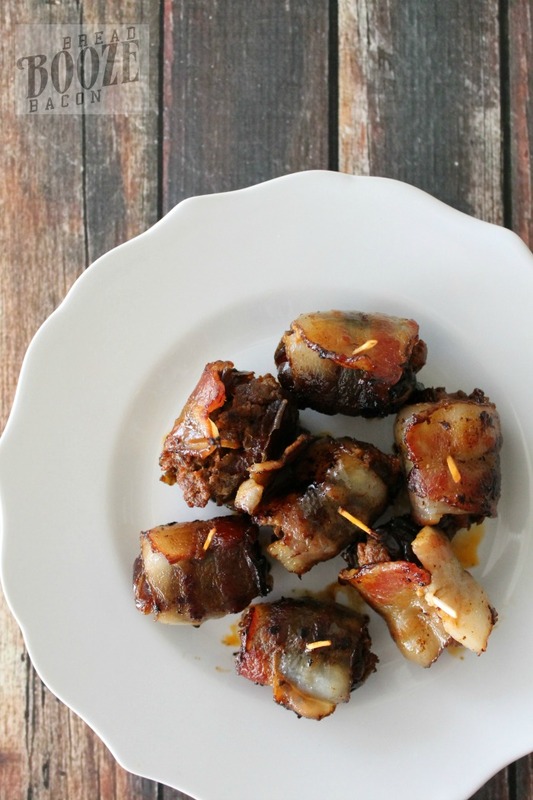 Bacon-Wrapped Chorizo Stuffed Dates are everything right about party food! One bite and you’re in sweet and spicy, bacon-y heaven! Today is a very special birthday. One of my best blogger friends, the amazing Aubrey from Real Housemoms, is turning thirty shehumenah! 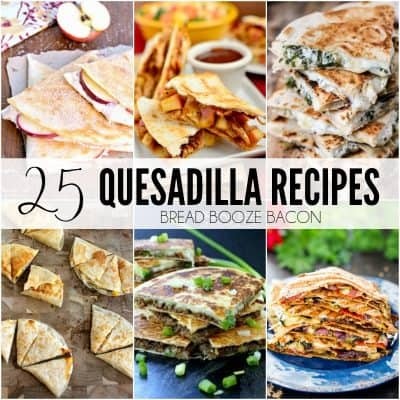 Aubrey is the creator of such devilishly delicious recipes as the Arizona Mule Cocktail, Crock Pot Cheesy Bacon Onion Dip, Sweet Potato Clouds, and Ooey Gooey Samoas Blondies. Yeah. Get some! Haha. But for real, Aubrey is amazingly sweet and generous and I’m lucky to call her my friend. I’m extra jazzed that she’s flying all the way down here for my wedding next month. (see: crazy girly time!) 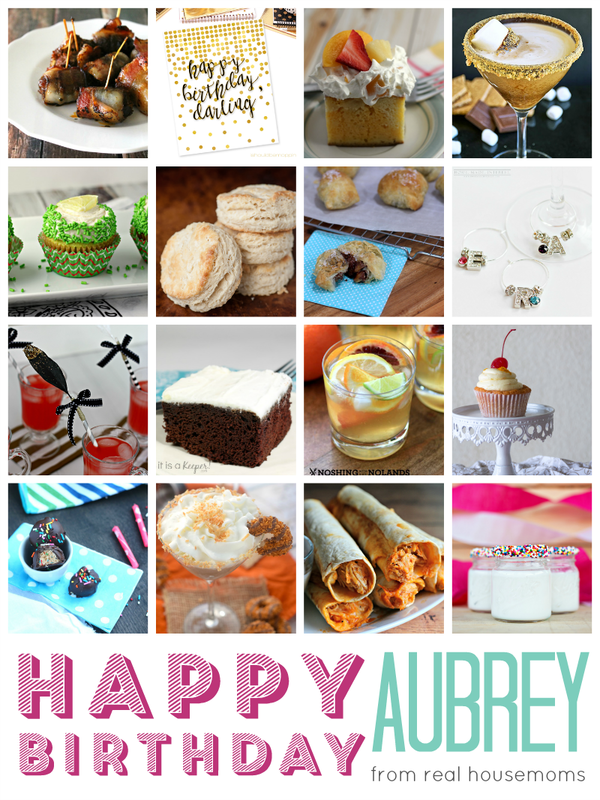 So, to celebrate Aubrey’s birthday I grabbed a bunch of our blogger friends, we all made something totally fun and (Aubrey) birthday party appropriate, and bam! Instant virtual birthday party for my favorite #GIRLBOSS! HAPPY BIRTHDAY AUBREY!! Okay. Let’s talk about these dates. After the Blended Conference last year, we went to the Salty Sow in Phoenix. We beat the crowd, and our scheduled mingling time, so Rachel and I hit the bar! I grabbed a drink and after trying our friend Dan’s Bacon-Wrapped Chorizo Stuffed Dates I was in love. I had to make those sweet and spicy little bites of bacon wrapped happiness mine. And now I have! 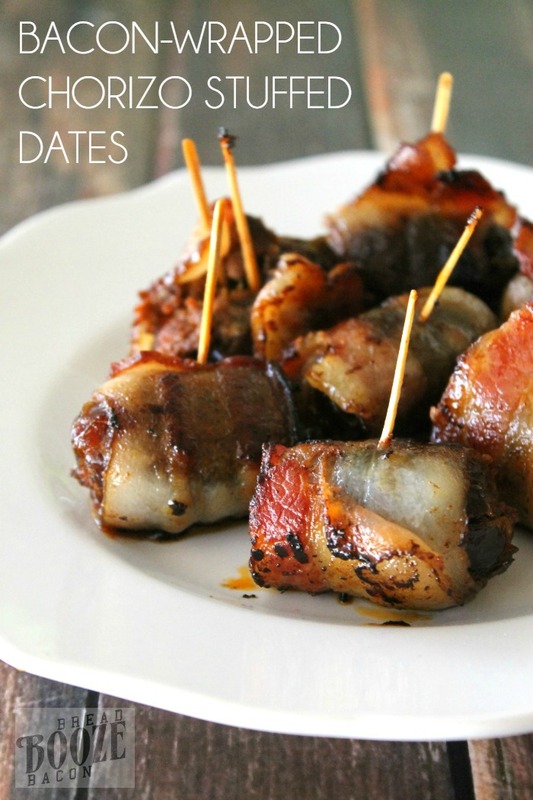 These dates are SUPER easy to make. If you’re serving them for a party, you can keep ’em warm in a chafing dish, the oven (set to warm), or a slow cooker if you’re making a bunch ahead of time. 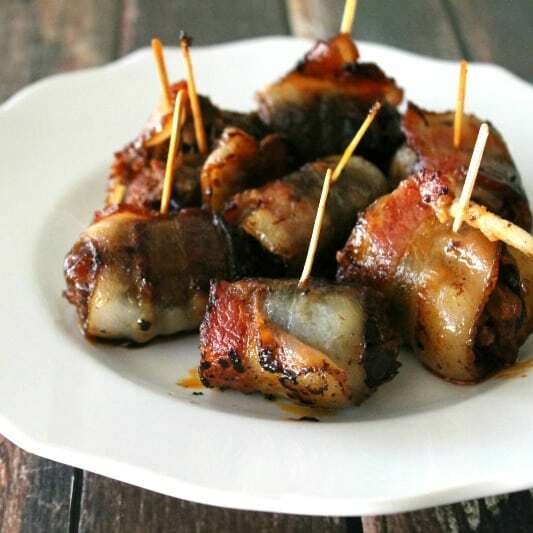 And since Aubrey and I have an affinity for bacon wrapped goodies, they were the perfect little bite to bring to her party! And party or not, you need these in your life. Promise. 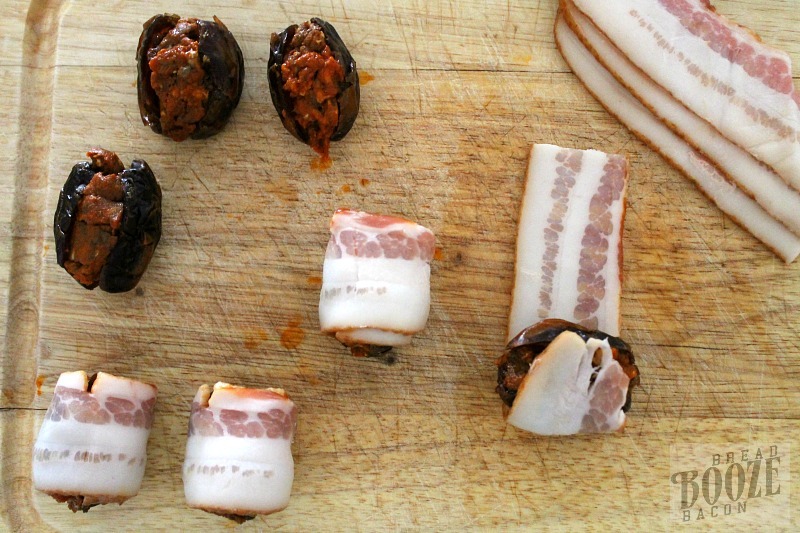 Bacon-Wrapped Chorizo Stuffed Dates are everything right about party food! 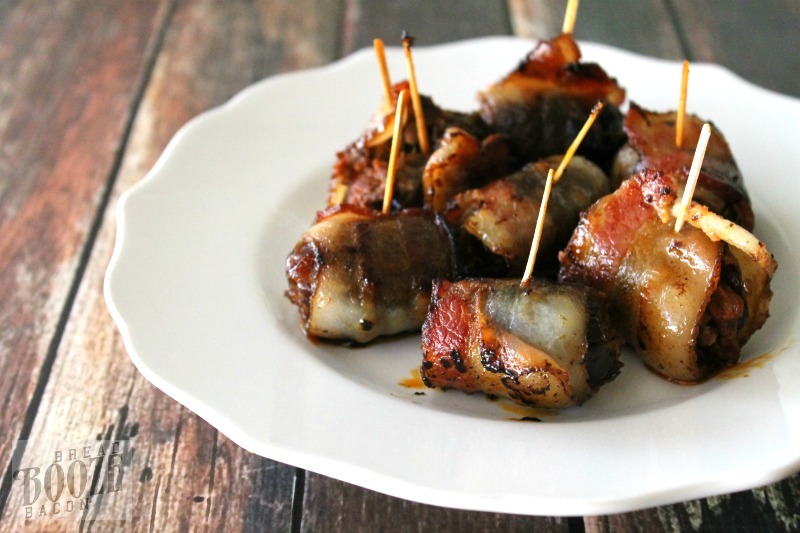 One bite and you're in sweet and spicy, bacon-y heaven! 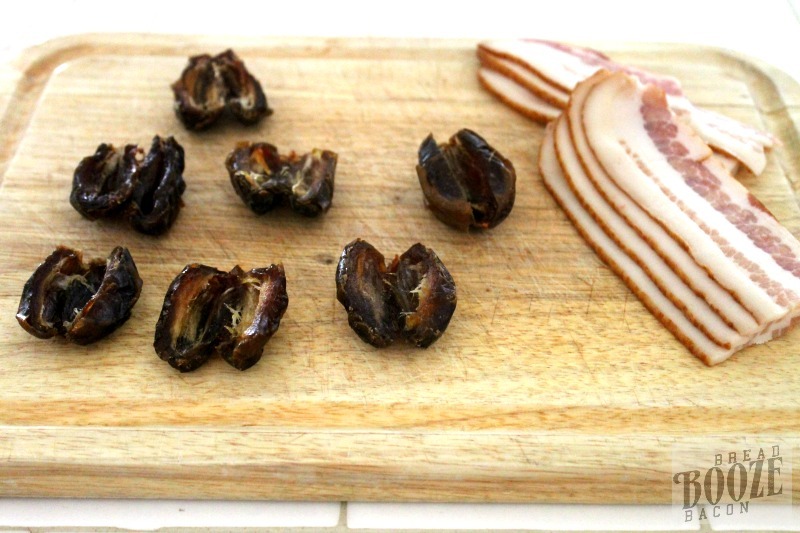 Cut each date in half, lengthwise, and open to reveal the pit. Removed the pit from the date and use your fingers to spread it open. Repeat with remaining dates. Portion chorizo into 8 even pieces. 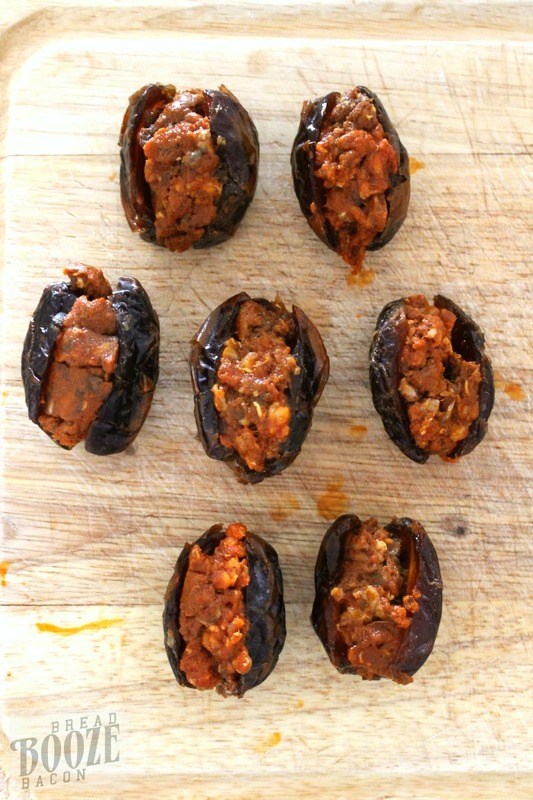 Stuff each date with one portion of the chorizo. Wrap and form the date around the chorizo. Cut each strip of bacon in half. Place one date on a half strip of bacon. 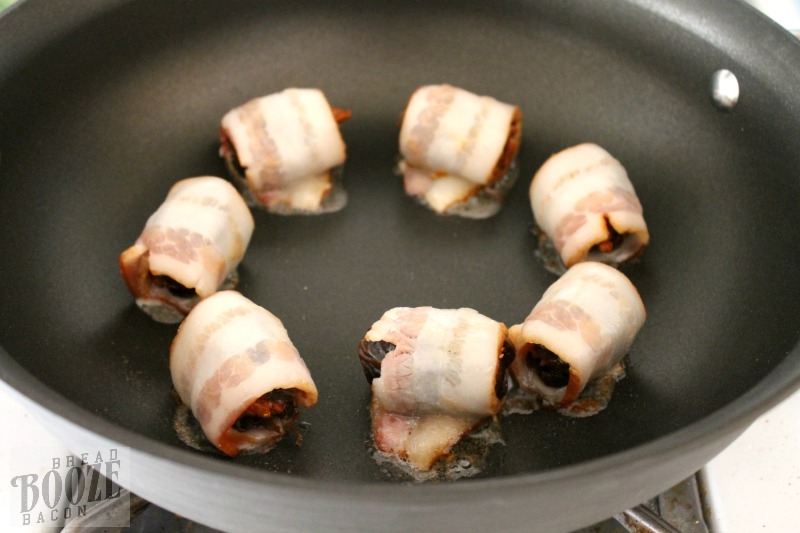 Wrap the end of the bacon over the top of the date, and then roll the date in the bacon until it's completely covered. Stick a toothpick through the end of the bacon and the date to hold the bacon in place. Repeat with remaining bacon and dates. Okay, so I totally didn’t put toothpicks in mine. I thought starting the date with the bacon seam down would do the trick, and on a couple it did. But I had a few bacon strips try to unravel. So pick your pig kids! OMG, OMG, OMG!!!! I knew you’d gotten your inspiration from The Salty Sow! These were SO DANG GOOD! And now you have to serve them at your reception haha! I’m seriously drooling just looking at these! Oh My Lawd Girl, do those looks good. Winner of an appetizer!! These look amazing. I’ve had something similar at a local restaurant we love to go to. I think they added goat cheese to theirs too! YUM! Oooo! Goat cheese would be awesome in these!! Julie, once again my mind is blown. Bacon AND chorizo? YUM!!! OMG! These look killer! What a great recipe! oh my, if I was a meat-eater, I’d devour these! They sound so tasty! !